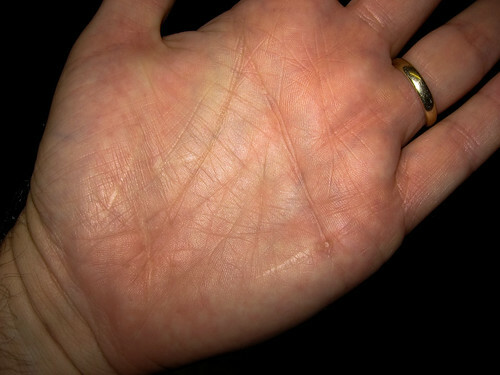 My left palm has several scars that date back to when I was two years old. It was winter in Scotland and I insisted on helping to carry the milk home from the box at the end of the road. I slipped on ice, the bottle broke and gave me these scars.